Apple is dropping iTunes Store support for Windows XP and Vista, hammering one more nail into the elderly operating systems' coffins. According to a post on Apple's support site, the security changes also affect first-generation Apple TVs, which it calls "obsolete". 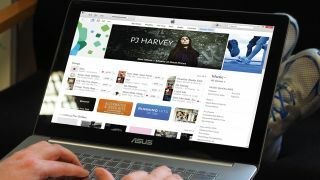 "After May 25, you'll need to use Windows 7 or later with the latest version of iTunes to make purchases from the iTunes Store and redownload previous purchases," the company said. XP and Vista users can keep running older versions on iTunes, but won't be able to upgrade or receive support from Apple. Anyone still using XP or Vista has far bigger issues to worry about than their music library. Connecting a PC running Vista or XP to any network is a very bad idea, due to the risk posed by unpatched security vulnerabilities. Microsoft ended mainstream support for Windows XP back in 2009, but continued to offer regular security updates until 2014. Versions of XP used in embedded systems (like ATMs) will continue until next year. Support for Vista ended in 2017. Windows Vista only holds a tiny fraction of the market, but XP is still the third most popular desktop operating system according to statistics from NetMarketShare. Due to both operating system's refusal to roll over and die, Microsoft released an patch to protect stalwart Vista and XP users from last year's WannaCry ransomware attack. What are the best free alternatives to iTunes?